The Democrat Party today is Progressive meaning Statist and Elitist rather than Populist. No wonder its traditional Jefferson-Jackson Dinners, honoring that party’s founders, are being cancelled all over the country. For democrats, there is an imaginary Jefferson, a slave-holding ogre who raped Sally Hemmings. And, for democrats, there is an odious Indian-killing, slave-owning Andrew Jackson. 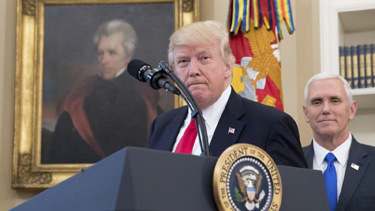 Jackson today belongs to the Republican Party which has elected an authentic populist president, one specifically eager to take up the legacy of Old Hickory and enforce it. Robert W, Merry, in American Conservative, has a nice tribute to Jackson making clear his extreme pertinence to today. Jackson … harbored no impulse toward economic equality or societal leveling. His aim merely was to ensure that the levers of government were not used to bestow special beneficence upon a well-positioned few. “Distinctions in society will always exist under every just government,” he said. 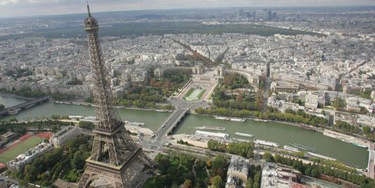 “Equality of talents, of education, or of wealth can not be produced by human institutions. In the full enjoyment of the gifts of Heaven and the fruits of superior industry, economy, and virtue, every man is equally entitled to protection by law.” Thus did Jackson declare that government should not interfere with any citizen’s pursuit of wealth and, further, that government had an affirmative obligation to protect the rich from the forces of envy bent on taking their wealth away. The general harbored no redistributionist sentiments. Investiture of Prince Philip, “The Crown,” Netflix TV Series. Hugo Rifkind (a liberal) at the Spectator takes a different view of the meaning of recent events. What if he’s right? People talk a lot of rot. Ideas spread, and sometimes they gain common currency despite being simply nonsense. One such idea, now almost universally believed, is that the ‘political class’ is today more estranged from the public at large than ever before. Historically speaking, however, that just can’t be true. 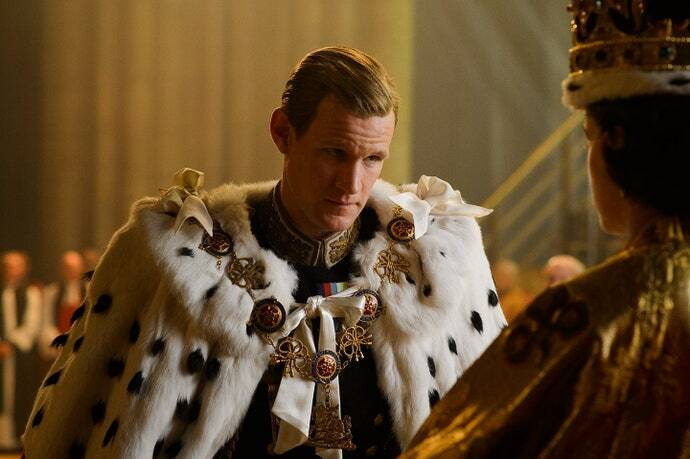 Watch The Crown, for God’s sake. Look at that world of wing collars and waistcoats and country houses, and then look at Ed Balls on Strictly Come Dancing, and tell me this gulf has grown — and I’m sorry, but you’ll just be talking nonsense. In truth, it is not estrangement which has grown but familiarity, and that familiarity, in good ways as well as bad, has bred contempt. No longer do people look at power and see a tribe wholly different to their own. Rather, they see people exactly like them who appear, through no obvious or evident virtue, to have won a lottery. And so, rather than forgoing control with a forelock–tugging shrug, they take it back, because they can. For now, granted, I’m not wholly convinced they’re doing anything particularly wise with it. But that’s the process, isn’t it? Momentum, Scottish Nationalism, Brexit, Trump, all that crazy nonsense; these are the baby steps of a truly mass political engagement, brought about by technology that suddenly makes truly mass political engagement possible. Sure, they might not exactly be steps in a great direction, but the printing press also spread pogroms and mass broadcast technology also spread fascism, so thus far perhaps we’re getting off pretty damn lightly. In the end, if either Trump or Brexit are even half as disastrous as I fear they could be, then perhaps the masses who voted for them will have learned a valuable lesson about the way that (as Spider-Man’s Uncle Ben put it) with great power comes great responsibility. And if they aren’t, as people keep telling me they won’t be, then I suppose we don’t really have anything to worry about anyway. So, chin up and happy Christmas. I’m taking a few days off. Might paint the ceiling. 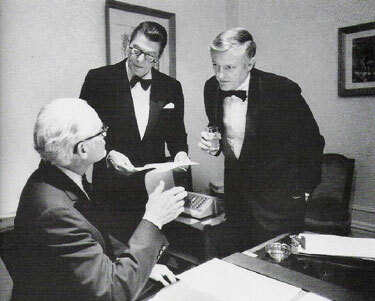 Barry Goldwater, Ronald Reagan, William F. Buckley, Jr.
Matthew Continetti, in a must-read essay, reviews the often-fraught relationship between mainstream intellectual Movement Conservatism and its populist New Right allies. Republicans have walked this tightrope for decades. When the party has integrated the issues, goals, and tactics of the New Right into its campaigns, it has been remarkably successful. Think 1968, 1972, 1980, 1984, 1994, 2010, and 2014. But there also have been signs, on the presidential level most clearly, that the alliance with populism is bringing diminishing returns. The GOP is on the brink of losing the popular vote in six out of seven presidential elections despite its current nominee running precisely the type of campaign the New Right has wanted to see for years. And this election is likely to return to office a Republican House majority that is more anti-Establishment, more hostile to compromise, more suspicious of institutions and elites than the one we have today. Immigration, which emerged as a social issue at the turn of the twenty-first century, was key to Trump’s success. So was his role as outsider, independent critic of the rigged system, scold of elites, avatar of reaction. The apocalyptic predictions, the dichotomy between makers and takers, even the idea of seizing Arab territory and “taking the oil” comes straight from Bill Rusher’s 1975 Making of the New Majority Party. The relentless hostility toward the media, both liberal and heterodox conservative, the accusation that it, the government, and the financial sector is engaged in a criminal conspiracy with Hillary Clinton, the denigration of Speaker of the House Paul Ryan, the appeal to supporters of democratic socialist Bernie Sanders, the charge that the “global power structure” has “stripped” manufacturing towns “bare and raided the wealth for themselves”—this is adversarianism in its purest, most conspiratorial, most totalistic form. The attacks on National Review, on George Will, on conservatives with elite educations, on conservatives granted legitimacy by mainstream institutions is a replay of the New Right rhetoric of the 1970s. Names have been added to the list of Republicans in Name Only, of false, cuckolded conservatives, but the battle lines are the same. On the one hand are the effete intellectuals based on the East Coast, shuttling up and down the Acela corridor, removed from the suffering of the average American, ignorant of the social issues, amenable to social engineering, fat and happy on a diet of foundation grants, magazine sinecures, think tank projects, speaking engagements. On the other are the blue-collar radio and television hosts with million-dollar contracts, the speechwriter for Wall Street banks who uses a pseudonym to cast aspersions on the feckless conservative elite, the billionaire-supported populist website that attacks renegade Jews, the bloggers and commenters and trolls estranged from power, from influence, from notoriety, from relevance, fueled by resentment, lured by the specter of conspiracy, extrapolating terrifying and chiliastic scenarios from negative but solvable trends. It is the same discourse, the same methods, the same antinomianism, the same reaction to demographic change and liberal overreach that we encountered in the 1970s. The difference is that Donald Trump is so noxious, so unhinged, so extremist in his rejection of democratic norms and political convention and basic manners that he has untethered the New Right politics he embodies from the descendants of William F. Buckley Jr. The triumph of populism has left conservatism marooned, confused, uncertain, depressed, anxious, searching for a tradition, for a program, for viability. We might have to return to the beginning to understand where we have ended up. 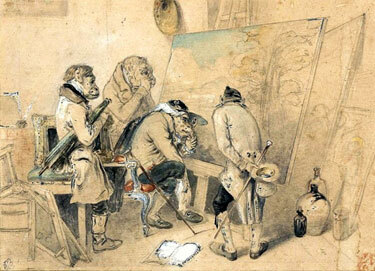 Alexandre-Gabriel Decamps, The Experts, 1837, National Museum Warsaw. Nassim Nicholas Taleb inveighs against the pseudo-intelligentsia whose excesses in America have resulted in the Trumpkin Jacquerrie. The Intellectual Yet Idiot is a production of modernity hence has been accelerating since the mid twentieth century, to reach its local supremum today, along with the broad category of people without skin-in-the-game who have been invading many walks of life. Why? Simply, in many countries, the government’s role is ten times what it was a century ago (expressed in percentage of GDP). The IYI seems ubiquitous in our lives but is still a small minority and rarely seen outside specialized outlets, social media, and universities — most people have proper jobs and there are not many opening for the IYI. 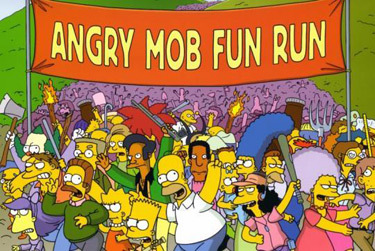 Justin Raimondo is cheering as the mob bearing pitchforks and torches advances on the castle. 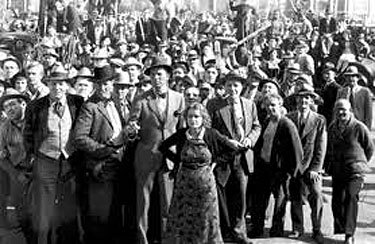 The political and corporate elites that have ruled, unchallenged, since the end of World War II, and whose perspective is globalist, imperialist, and mercantilist, is facing a serious insurrection: the peasants with pitchforks are gathering in the shadow of the high castle, their torches illuminating the twilight of the West. Whether they succeed in penetrating the fortress and violating the inner sanctum matters less than the destructive effects of the battle itself. Does our ruling class have the will to fight and win? We’ll have the answer shortly. Yes, it’s all lots of fun, and a revolt against the American pseudo-intellectual, urban community of fashion establishment is long overdue, but neither a geriatric hippie communist nor an egomanaical vulgarian is a leader fit to be entrusted with power. If you don’t like the current frozen economy, just go elect Comrade Bernie or Smoot-and-Hawley Donald and see what you get. Ian Tuttle describes the repulsive dynamic driving the largest percentage of voters in the current election. Unlike Sanders, Trump has no determinate position on any matter of public policy, but that’s of little importance. He is not pitching a movement; he is pitching himself. His promise is not any particular slate of policies; it’s Donald Trump writ large. An America with Trump at the helm is one in which America “wins,” like Trump wins; makes good deals, like Trump makes good deals. In Donald Trump’s America, everybody gets to live a little like Donald Trump. This is at least partly why Trump’s supporters are so vicious toward his detractors: The latter threaten their chances to live bigger. It’s envy, en masse, on both sides. Somebody else has it (cheaper tuition, cheaper health care, business-class tickets, a Mercedes, &c.), and I want it. Under Sanders, top-hatted Uncle Pennybags will do the perp walk; under Trump, we’ll put the screws to Beijing and Uncle Pennybags himself will cut me in on the deal; but in either case, I get what should’ve been mine all along. And all for the low, low price of a vote. Those who believe that politics is little more than personal psychodrama played out on a grand stage might be closer than usual to the truth this election cycle. 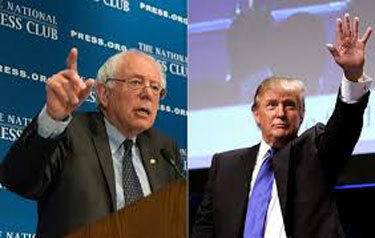 Neither Trump nor Sanders, despite their claims, is ushering in a revolution. They are ushering in a politics more petty, vulgar, and low — more animated by voters’ base inclinations — than any in recent memory. If New Hampshire is any indication, voters are not about anything so high-minded as constitutional government or national security or racial justice or even “hope and change.” They’re about me getting mine, by hook or by crook. Free college, free health care, and winning. This election is the Gollum-cry of the masses: WE WANTS IT. Rod Dreher notes that National Review may be substantively correct about Trump, but elite conservative writers, a lot like the liberals, are also thoroughly disconnected from the concerns and views of normal working class voters out there in the hinterlands. Trump, in openly and passionately taking on the Establishment, has tapped into a powerful reservoir of political support, and is rejecting the whole elite Establishment intelligentsia, on the Right as well as on the Left. When I worked at National Review in 2002, I took pride at being part of the team of conservative standard-bearers, and believed that we were articulating what American conservatives felt. This continued after I left NR, but kept up my work as a conservative opinion journalist. But a funny thing kept happening. When I would go back to south Louisiana to visit my family, I often got into (friendly) arguments with people about conservative principles and policies. I noticed that we were at loggerheads over many things. It frustrated me to no end that reason was useless; “ideologically unmoored cultural passions” weren’t just something, they were the only thing. This was a tribal conservatism, one that had very little to do with ideas, and everything to do with nationalism and a sense of us-versus-them. To be a conservative is to agree with Us; to disagree with us means you must be a liberal. I remember getting into it with my dad once after I moved home. I was driving him to the VA clinic for a check-up. This was during the Obamacare debate, and he started complaining about welfare spongers who expected the government to pay for their medical care. I pointed out that he was an avid user of Medicare and of veterans’ medical benefits, and that if not for those government programs, he would have died a long time ago. He just got mad, and changed the subject. [C]onservative theoreticians (like me) get so caught up in our ideas that we fail to see some important things, even as many of us tell ourselves, as we have for a generation now, that we are the spokesmen for “real” America. It’s a narrative that is irresistible to intellectuals. The Left, of course, always loves to think of itself on the side of the People, never mind what actual people think. Trouble is, the Right is the same way. I’d say that we’d better beat Trump in the primaries, because Populist Nationalism is never going to lead to conservative results or good government. What Trump in power and unbridled would turn into is another Juan Peron, another Huey Long, cozying up to the masses with Nativism, Protectionism, and an inevitable package of socialist goodies, with a large helping of crony capitalism and corruption on the side. the Archives of Never Yet Melted in the 'Populism' Category.